A luxury watch is more than just a timepiece, it’s a statement of success, style, and wisdom. According Timepiece Perfection, Luxury watches are an expression of prestige. Timepiece Perfection lists four qualities that set a luxury watch apart from the run-of-the-mill timepiece. In-house movements – All the moving parts of a watch must be put together in a manufacturer’s plant rather than being outsourced. In fact, some watchmakers even perform the final polishing and assembly totally by hand. Brand – There is always a distinguishing feature that sets one brand of luxury watch apart from the others. For example, Rolex, has the distinction of using a very expensive and special kind of steel to make its watches. 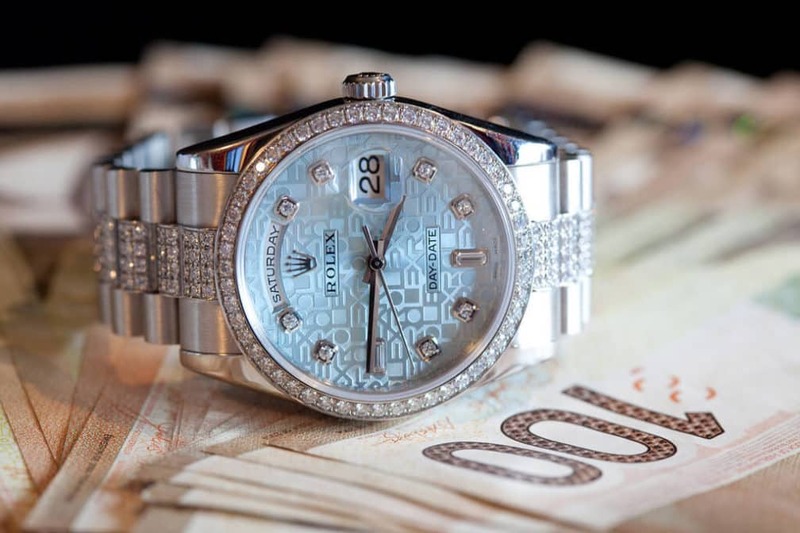 That makes Rolex watches last for many years, accounting for a high price tag. One of the least expensive Rolex models sells for approximately $5,000, no small change. Jewelry – Luxury watches also serve as jewelry that fits the individual’s jetsetter lifestyle. One example of this is lining the case or the face of a watch with gems. Complications – These are functions that go beyond the standard timepiece use that can include features such as a date display, time zone display, and calendar, among others, and contribute significantly to the value of a watch. Impressing business colleagues – In some European countries, someone is not even considered a serious business person unless they have a classy, yet conservative watch. Impressing the in-laws – All sorts of factors come into play here, such as showing that you are successful and value tradition. Winning snob approval – This involves knowing what kind of watch will impress the “in crowd” of watch aficionados. Just because … you appreciate the best and have the bucks to pay for it. Rolex uses an expensive type of steel that is difficult to machine just because it looks better. The company has several well-equipped science labs throughout Switzerland. The moving parts of Rolex watches are hand-assembled and hand-tested. All the gold and platinum that go into Rolex watches are formed in-house. Rolex uses modern technology with the care and attention to detail of human labor to create its watches. Rolex gives Fort Knox a run for its money. The company store its materials in a sophisticated security system. Their diving watches are carefully tested for water resistance using air pressure tanks and are tested in water. It takes a year just to make one Rolex watch. The Swiss are clearly famous for their excellent craftsmanship in watches. 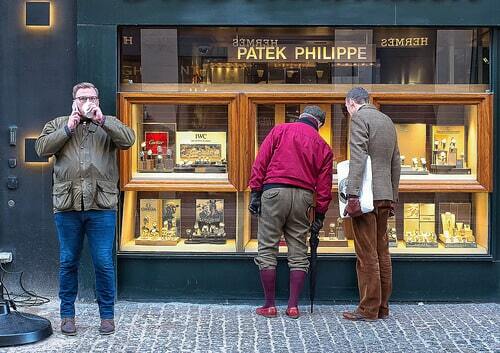 Like Rolex, Patek Philippe is another watch brand known for its superiority among the Swiss watchmakers. An article on WatchTime magazine lists several reasons why Patek Philippe watches are extremely valuable. Expertise – This brand boasts a number of special “complications” that make their watches stand out among its peers. One unique complication that Patek Philippe is known for is “minute repeaters.” This means watches with this feature will chime the hour, and often minute, by pressing a button or slide piece. Tradition – The company has been in the business of manufacturing watches for 177 years. The knowledge and experience that results from these years of watchmaking is passed along from one generation to the next. Family Business – Patek Philippe is a family-owned company, and ownership is now in its fourth generation. This provides for consistency in the company’s policies and philosophy. Decoration – The artwork in a Patek Philippe watch is done by hand and includes features such as very delicate engraving and setting of precious stones, among others. 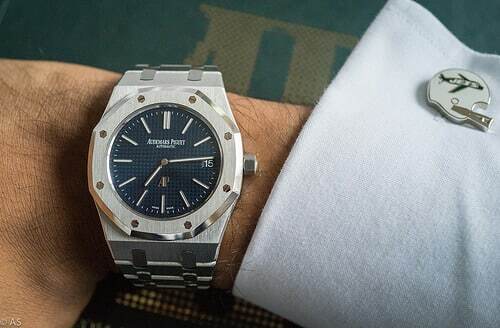 The Audemars Piguet watch brand has a long and unique history of more than 143 years. It is popular among a wide variety of well-to-do people, from royalty to music icons. So, what makes this watch brand so special? Here is a little bit of history about this elite watch brand as told by catawiki. The brand is a result of a partnership that began when Jules Audemars teamed up with Edward Piguet to create Audemars Piguet. The company was founded in Switzerland in 1875. Since the creation of the company’s first watch, their design language has stood out from the competition. The precision work performed on them as well as the high-quality materials often used to make them are extraordinary. The exceptional quality of the materials are one reason why the brand’s vintage watches have stood the test of time. Cartier watches sell for a wide range of prices depending on the design. For instance, a Ronde Solo de Cartier watch can be found for as “little” as $2,750. In contrast, an amazingly designed Rotonde de Cartier Earth and Moon watch may sell for as much as $246,000. Cartier has been known to grace the wrists of Grace Kelly, Kate Middleton, Prince William, or even Mick Jagger. With such a group of A-list celebrities making Cartier their watch of choice, its value is undeniable. Why Pawn a Luxury Watch? So, you have the wealth to afford a high-end watch, but what happens when you hit a snag? After all, no one is immune from such occurrences. Perhaps you’re a business person who needs to make a timely payroll or to meet other expenses. Others may need some marketing dollars to bring in the commission checks. Many people may think that they need to get a bank loan or sell something valuable to meet their obligations. Bank loans can be a very long, drawn-out process. It could take a few weeks to get the money you need in hand. Then selling a valuable item can also be very laborious. Where would you advertise for such a valuable item as a luxury watch that you paid big bucks for? What could you actually sell it for? And the most important question: are you really willing to permanently part with that awesome piece of jewelry and electronic mastery? After all, you expect your financial crunch to be short-lived. Chapes-JPL provides easily affordable, low-interest loans. Their object is to help you get your watch back as soon as possible so they provide easy loan terms. It’s a much faster process that a standard bank loan; you can get a check for your watch in less than an hour. Clients can use the same item for a pawn loan repeatedly, if necessary. How Does Pawning a Watch Work? Call Chapes-JPL at (404) 504-7021 to make an appointment with an appraiser. If you prefer to go the online route, complete the form to the right of this article. You will receive a prompt call from a Chapes-JPL representative who can schedule an appraisal appointment. When you meet with your appraiser in our comfortable offices, be sure to have the watch you wish to pawn and a government-issued identification on hand. Additionally, you can expect to be fingerprinted during your meeting. Rest assured that your pawn item will be safe in Chapes’ hands while you pay off your loan. All pawned items are photographed, insured, and secured in an off-site bank vault at no extra charge to you. The ultimate goal for Chapes-JPL is to reunite you with your watch as soon as possible, so the loan terms are designed to make that happen. Chapes’ basic loan period is 30 days. If you pay the minimum payment consisting only of the loan interest, which can be as little as 3% of your loan amount, the loan can be extended another 30 days. This extension can take place for as long as needed until the loan is paid off.